The California legislature has mere days to wade through literally hundreds of bills that lawmakers are trying to push through. Both the Senate and Assembly have until Aug. 31, 2018 to pass their bills. One of the bills awaiting further action is A.B. 2479, which would require the state's two university systems to pilot an income share agreement. According to the bill, California State University and the University of California would each have to choose a single campus to try out the pilot, which would begin in time for the 2020-2021 academic year. In the experiment, students would be allowed to commit to paying a specified portion of their future income to the participating campus in place of paying tuition when they enroll. They'd have up to 10 years to do repayment based on a percentage of income, and monthly payments would commence six months after graduation. If the annual income were below $20,000, no payments would be required; however, the sharing agreement would be extended for that same number of months. The program would only be open to students in their sophomore, junior or senior years. 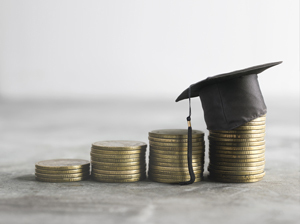 Other eligibility requirements would be up to each university system, including a repayment cap and the ability to "extinguish" the repayment obligation before 10 years was up. After the experiment was done, the campuses would need to submit reports to share their findings. Income share agreements aren't new. In the 1970s, Yale University dabbled with the idea, but it was at the cohort level. An entire cohort would agree to pay back a portion of its earnings until the balance was met. However, the experiment faltered when some graduates refused to or couldn't pay back their shares and others complained about footing more of the bill. Fast-forward to 2013, when Oregon approved an income share experiment, which it called "Pay It Forward, Pay It Back": Backed by the government, the experiment withered when students ended up earning less than the assumptions expected. Vemo Education was founded in 2015 to work with colleges and universities in setting up similar programs; according to coverage by the Chicago Tribune, the company now counts 30 public institutions among its client base, the most recent being Norwich University in Vermont. Since then, numerous studies, including from the American Institutes for Research, New America and the Aspen Institute, have come out debating the merits and obstacles of the approach. Right now, the California bill has passed both the Assembly, where it was introduced, and the Senate. Now it's awaiting input on funding.